I hope all of you had a wonderful midsommarafton dancing like a frog and drinking nubbe. Plus, spent today in a proper bakfulla state at home. 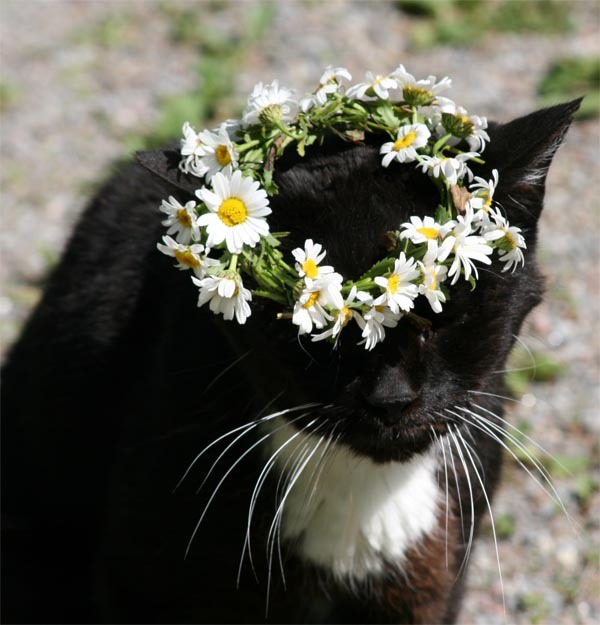 Cat maybe enjoying midsommarblommar? Midsummer flowers are the in season flowers at the beginning of the summer. You need seven different flowers to make the wreath (the one you dance around with on your head) and at nighttime, put the flowers under your pillow. Ladies, you will dream of the man you will marry.